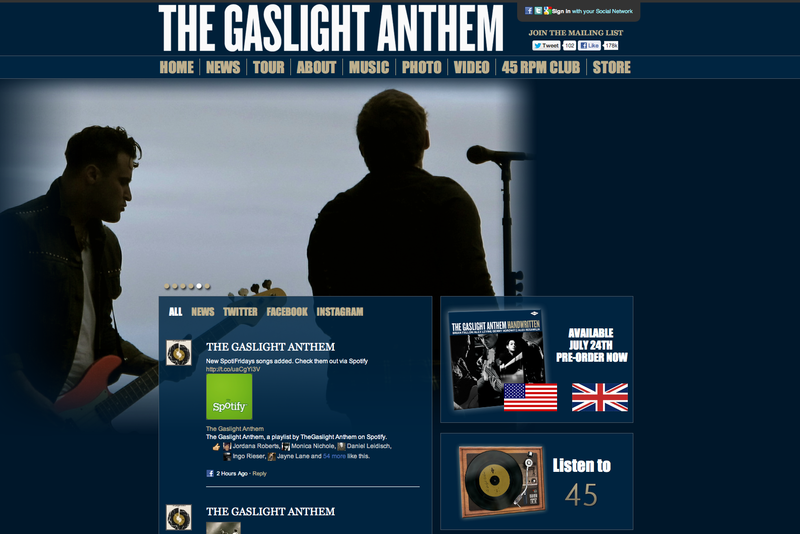 Check out the custom SoundCloud player on the music page of TheGaslightAnthem.com. Try out the universal log in system for comments on the site. Once you’ve logged in on TheGaslightAnthem.com you will be able to comment on other Universal Republic websites without requiring additional logins.